The Goa government has withdrawn the stringent checking of fish brought from outside at the state's border and instead, will conduct random inspection of the stock in local markets, a minister said today. 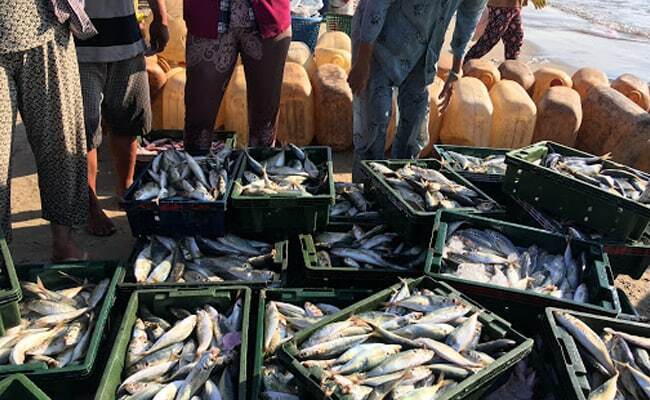 The government had last month ordered strict checking of all consignments at the state's border following suspicion that the fish brought from outside was laced with formalin, which is a toxic preservative. However, the government has now withdrawn the "regular checks" on Goa's border, state Food and Drugs Administration (FDA) Minister Vishwajit Rane told reporters. "Henceforth, random testing will be done regularly in fish markets, restaurants and other places on working days. Besides, surprise checks would be conducted periodically on fish stocks at the state'sborder," he said. Mr Rane said a rapid detection test kit, developed by the Central Institute of Fisheries Technology (CIFT) at Kochi in association with Food Safety and Standards Authority of India (FSSAI), is being used to check the fish samples. The test is validated and approved by the food safety authority, and it detects formaldehyde lacing on the fish, he said. The government had banned the import of fish on July 18 after the FDA's initial report confirmed the presence of formalin in them. Formalin was applied on fish imported from outside the state as a preservative, according to the FDA. The chemical, harmful to human health, is used to preserve bodies and prevent their decay in mortuaries. The department had later withdrawn its report. The ban on fish import was lifted on August 4 and the government had been keeping a strict vigil on border check posts to ensure consignments entering its territory are free of toxic chemicals. The opposition Congress had stalled the Goa Assembly during the monsoon session for three days in July over the issue of formalin-laced fish.